Despite growing up surrounded by landscaping plans and working in his parent’s plant nursery as a teenager, farming was Tim’s initial career choice. After a couple of years in this field, he decided to return to landscaping and worked for three years as a self-employed contractor. In 2001 he embarked on his OE, travelling around the USA, Canada and the UK, including 18 months in London working for a large landscaping firm. On his return to New Zealand, Tim and his father established a landscaping team to enable Goom Landscapes to undertake entire projects, from design through to construction, planting and seasonal maintenance. 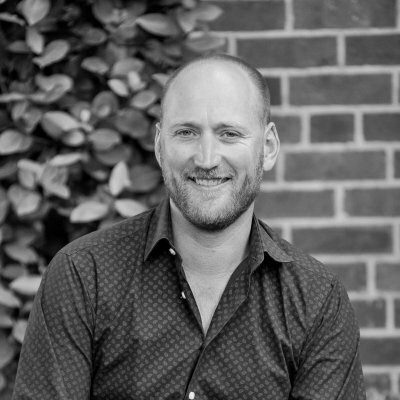 From his initial position employed within the company, Tim now owns half of the business – adding his own unique touch and vision to the future development of Goom Landscapes. Creative, practical and a tenacious problem solver, Tim has a talent for visualising the end product. His large team of skilled staff take great pride in their work, resulting in an exceptional standard of finishing which is a hallmark of the company’s projects. In his free time, Tim enjoys sea and river fishing, hunting and duck shooting with his Labrador, and spending time with his family.